Product Consists : 25 Mix Color Roses in a basket arrangement (Yellow, Pink, White & Red), Christmas Greeting Card (Rs.50/-) along with Bottle of Indian Branded Wine. (This product can not be delivered in Gujarat as it has been declared as 'Dry State'). 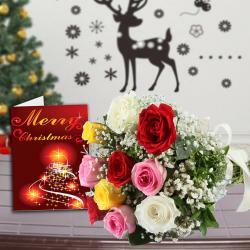 If you are planning any surprise for your dear ones on this Christmas than this gift combo is best option for you. This gift combo contains all the items to enthrall anyone. 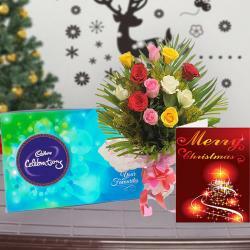 You can gift this combo of Christmas greeting card, Indian branded wine and flower bouquet to your wife on this Christmas. You can even gift this awesome gift combo to your friend who invited you on Christmas party. Its a nice present for Christmas get together party. 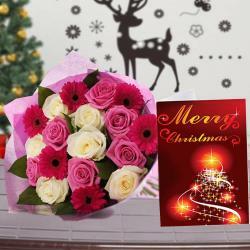 The flowers bouquet of this combo is made up of twenty five yellow, pink, red and white roses. Each rose symbolize some meaning. The Card on this gift combo looks attractive with its bright colors. 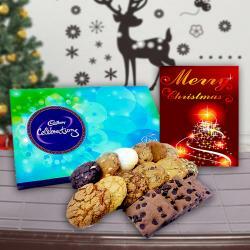 Send this gift combo to your dear ones on this Christmas and make them feel elated. 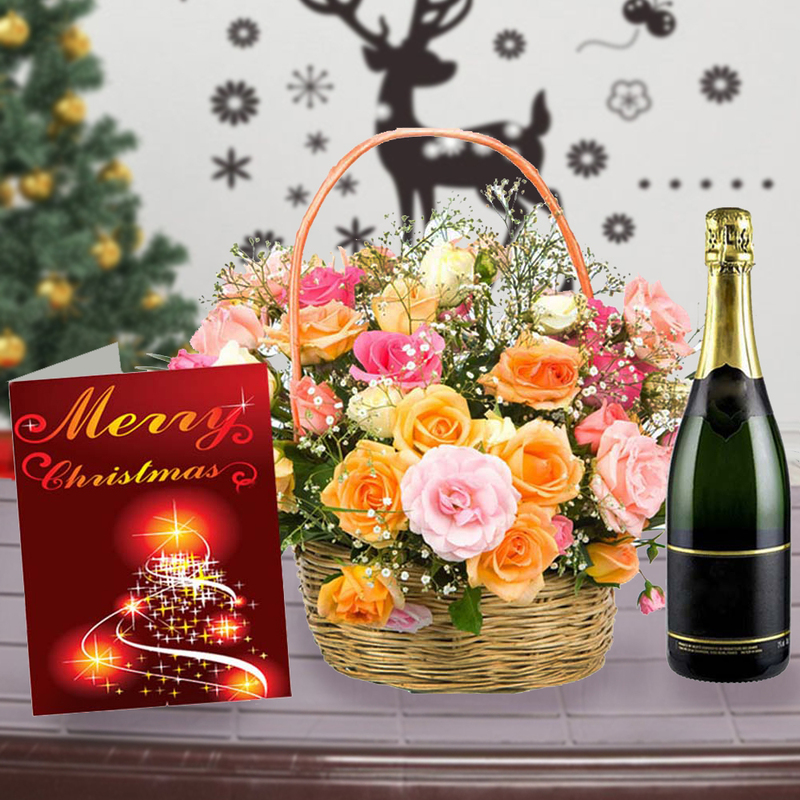 Product Consists : 25 Mix Color Roses in a basket arrangement (Yellow, Pink, White & Red), Christmas Greeting Card (Rs.50/-) along with Bottle of Indian Branded Wine. (This product can not be delivered in Gujarat as it has been declared as 'Dry State').